Sharon and Jack Rogers at Jack Rogers' retirement, n.d. Jack Rogers Papers. PHS is pleased to have recently received the papers of Jack Rogers (1934-2016), an influential pastor and educator who served the Presbyterian Church (U.S.A.) in many leadership roles, including moderator of the 213th General Assembly in 2001. We obtained Rev. Rogers’ papers thanks to the faithful concern of his close friends and family—especially his wife, Dr. Sharon Rogers—that his correspondence, lecture notes, clippings, photographs, and multimedia materials become available for the whole Church and for researchers. Jack Bartlett Rogers grew up in Nebraska and attended the University of Nebraska in Lincoln. In the late 1950s, following a United Presbyterian Church in the U.S.A. work camp immersion experience in Egypt, he took a year interlude from Pittsburgh-Xenia Theological Seminary to participate in a “Faith at Work” internship program. That year he shadowed Christians working in different fields around Pittsburgh (a policeman, a bartender, a lawyer), learning how their faith shaped and informed their work. 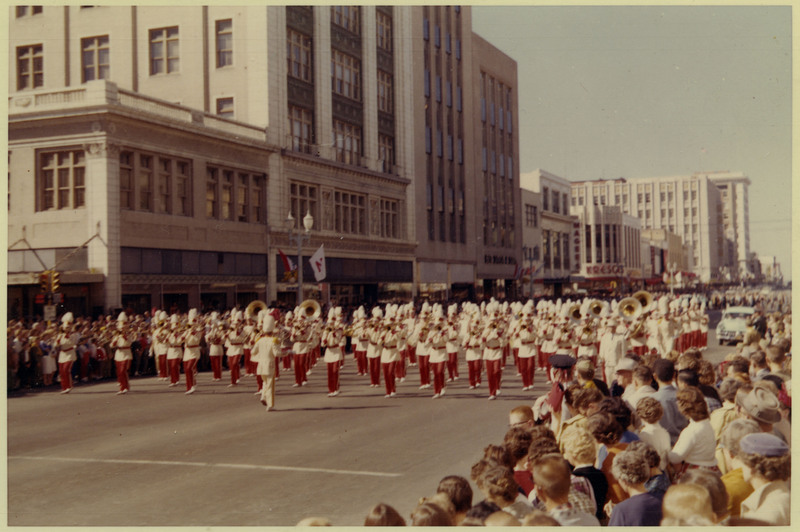 University of Nebraska Marching Band, 1955. Jack Rogers Papers. Faith at Work profoundly influenced Rogers. In his academic studies, his teaching, and his pastoral leadership, he would consistently ask questions about the choices God’s people make and wonder how to help them attune their lives to the witness of God’s Word in Scripture and the confessions. Through his internship, Rogers developed a deep interest in the utility of case studies to explore and understand the context of human actions. Jack Rogers believed strongly in the Presbyterian mantra of “being reformed and always reforming.” He opened his life to the transformative work of the Holy Spirit and led our denomination into rich conversations about the meaning of reformation. Along the way, he trained and mentored countless women and men for ministry. As a faculty member at Westminster College in New Wilmington, Pennsylvania, and Fuller Seminary in Pasadena, California (where he started the Office of Presbyterian Ministries); and as a vice-president and professor at the Southern California campus of San Francisco Theological Seminary, Rogers gained a reputation as a careful, skilled, and deeply engaged teacher. He served on the UPCUSA Task Force on Biblical Authority and Interpretation from 1980-1982 and on the committee that developed A Brief Statement of Faith that the 1991 General Assembly ratified. 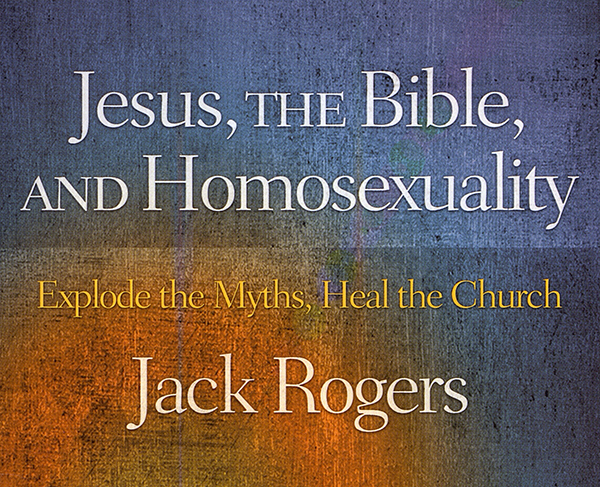 In addition to serving as GA moderator in 2001, he became a staunch ally for full inclusion of LGBTQ Presbyterians in ordination and marriage rights and authored thirteen books, including an introduction to the Book of Confessions, Presbyterian Creeds (1985); several books considering questions of Biblical infallibility; and Jesus, The Bible, and Homosexuality (2009). 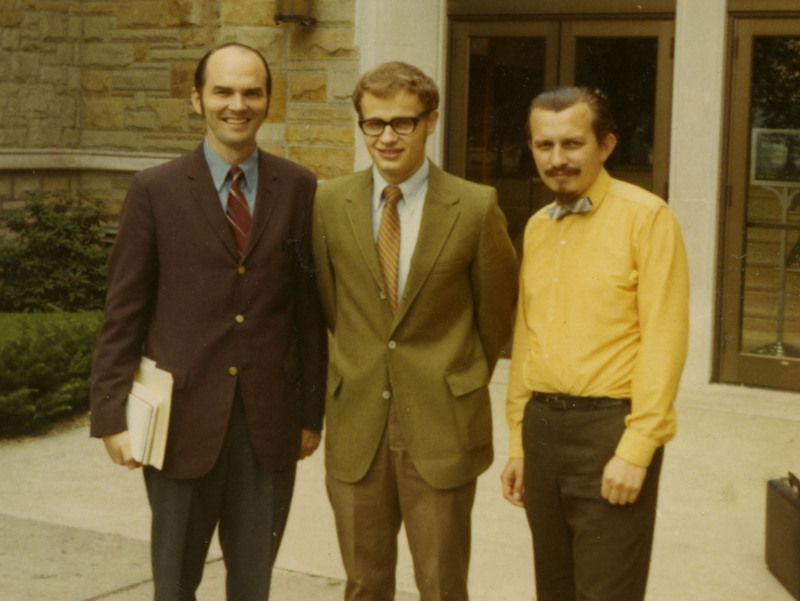 Jack Rogers, Don McKim, and Peter Joon at Westminster College, New Wilmington, PA, August 6, 1970. Jack Rogers Papers. Before his death on July 14, 2016, Jack Rogers was working on a book about the Westminster Divine Edward Reynolds, whose theology fascinated him. In Reynolds, Rogers saw a kindred soul seeking the joy of God in daily living as a person of faith. For years, Rogers taught a polity and confessions class at the General Assembly. He loved immersing himself in each GA, finding a richness in the worship, the time spent together, the rich dialogue. For him, the Assembly was a place to climb out of the small envelope in which so many of us conduct our lives and see a broader perspective. Rogers fought dearly for what he humbly claimed was his one tangible contribution to A Brief Statement of Faith: the inclusion of the phrase “holy and joyful lives.” He embodied that phrase in the way he carried out his work, and by the way he integrated his insatiable and faithful curiosity about the endless interconnections and manifestations of God’s world and Word. Many of us lost a friend, teacher, and mentor when Jack Rogers died. Now that Sharon and the Rogers children—Matt, John, and Toby—have gifted PHS thirty-four boxes of archival materials, scholars and people of faith will continue to learn from Rev. Rogers’ time as moderator and from his work as a member of task forces on Peace, Unity, and Purity and Biblical Authority; his efforts at translating and understanding various confessions; and his determination to fully include LGBTQ Presbyterians and their families in the life and leadership of the denomination. His papers reveal the journey of a faithful Presbyterian who allowed Scripture to claim ultimate authority over his life and thus transform it profoundly. The papers are also important conversation partners with the other denominational and personal records PHS holds, many of which connect with Jack Rogers’ legacy of study and accomplishment. Published by Westminster John Knox Press, 2009. PHS is able to collect the papers of women and men who lead our church, and to process those collection items and share them with you, because of donating groups and families such as the Rogers and because of the faithful financial support individuals, congregations, and mid councils provide us each year. Thank you for helping our ongoing mission and sharing news of our ministry with others. As we focus on collecting materials in proven and innovative ways in 2018, we’ll be sure to tell you about many more joyful lives and the ways they changed the world through faithful engagement. 8 hours 26 min ago. Today’s #HistoricalFigureFriday honors Reverend James Patriot Wilson. Born in 1769 in Lewes, Delaware Wilson went on to graduate from the University of Pennsylvania in 1788. He initially studied law and was admitted to the Bar but the unexpected death of both his wife and brother led him to a religious path. He was ordained as pastor of the Presbyterian Church in Lewes in 1804 and in 1806 he accepted a call to lead the First Presbyterian Church in Philadelphia. He resigned as a much celebrated pastor in the spring of 1830 before he died December 9th 1830. Our portrait of Reverend Wilson was painted in 1807 by none other than James Peale the younger brother of Charles Willson Peale. This oil on canvas painting represents one of the many large portraits James Peale completed after he shifted away from miniatures. To see more works by James Peale visit PAFA The Pennsylvania Academy of the Fine Arts or the Philadelphia Museum of Art.